It is a blistering but bright summer afternoon in Virginia, the kind that might have found Thomas Jefferson inspecting the kitchen garden at his mountaintop estate of Monticello some two centuries ago. Purple and white eggplants shimmer in the afternoon sun and the Blue Ridge Mountains are luminous against the skyline as I walk among the trellises and rows of vegetable plots and try to imagine the thoughts of America’s third president. 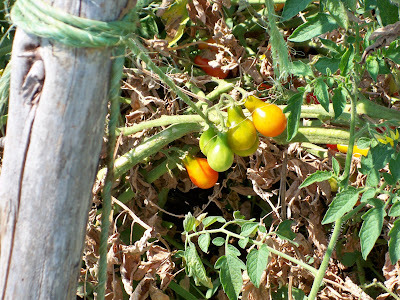 It is easy to think beyond the one-dimensional, iconic image of Jefferson on the nickel or the two-dollar bill as I explore the restored garden and the heirloom varieties that are erupting from the soil, even in the 21st century. Jefferson was an architect of American independence, a philosopher, a gourmet and … mad about vegetables? Yes, the author of the Declaration of Independence was – in fact – a localvore. 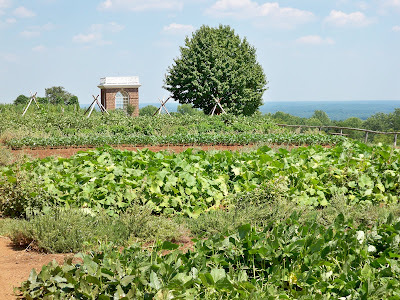 While claiming that Jefferson was the founder of the locally-grown movement might be hard to prove historically, Monticello certainly nourished Jefferson in many ways, and there is a realization that the vegetable garden was an important ingredient in that sense of place. Jefferson craved vegetables. He ate very little meat and the dinner menu at Monticello featured numerous varieties and preparations of vegetables. Most came from what was quaintly referred to as “the kitchen garden.” Recreated in 1979, it is hardly a modest effort and is the length of three football fields. 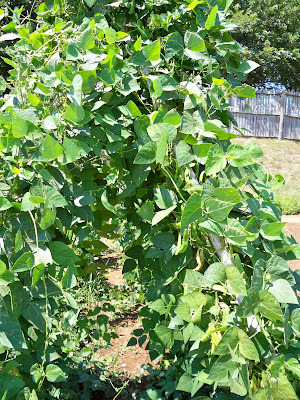 Of the 27 vegetable plots, 26 would rotate each year. Only the asparagus beds remained constant. He experimented with 300 varieties and more than 70 different species of vegetables. The garden sits on the side of the hill, and offers a dramatic view of what might have appeared on the table at Monticello. 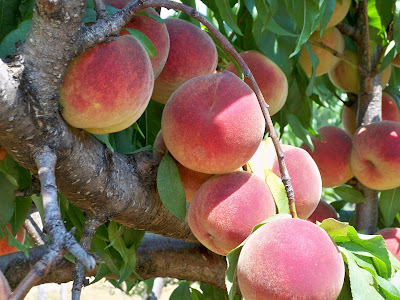 In the nearby fruit orchard – or fruitery as it was called – peaches were prolific. Jefferson planted 38 varieties and at one point, there were 160 peach trees in the orchard. I purchase some packets of heirloom seeds for my brother from the gift shop, cultivated at the Thomas Jefferson Center for Historic Plants. 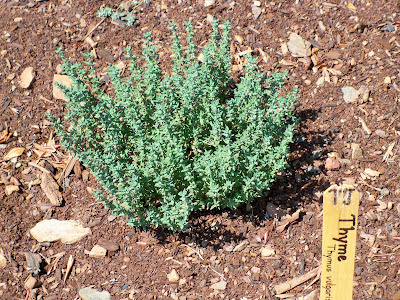 The center preserves historic plant varieties. The seed packets include Brandywine Tomato, Early Blood Turnip-rooted Beet, Hyacinth Bean, and Bath Cos Lettuce. 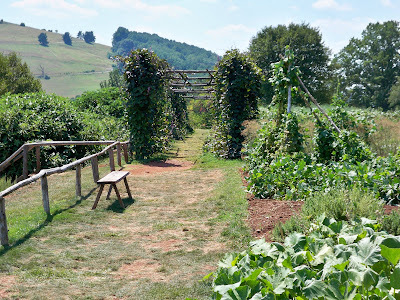 It is my hope that, next growing season, his kitchen garden in the Tennessee countryside will also burst with the flavors of Monticello’s vegetables and that Thomas Jefferson’s culinary vision might continue to propagate. Recently I traveled through the Virginia countryside, discovering the local food, history and hospitality of what is called “the birthplace of the nation.” I visited Thomas Jefferson’s Monticello on August 19, 2008. Just a few years ago we revisited Monticello, and I marveled at the gardens. When I visited there as a kid, several times, I must have ignored the gardens altogether, because now that I'm interested in food and in growing my own, the gardens there are a revelation! Jeff and I visited Monticello several years ago and loved it. Unfortunately, it was January and about 28 degrees outside and snowing lightly. Needless to say, there were no peaches or pumpkins to ooh and ahh over! So I'm especially happy that you're sharing these photos now. They're so lovely. 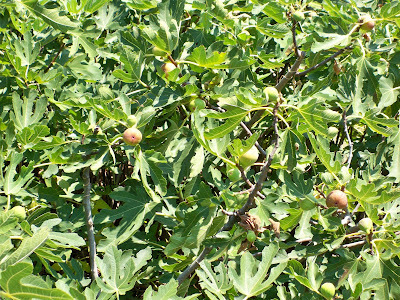 The hubby loves figs and I'm sure he is going to go in a frenzy if he sees the fig trees. 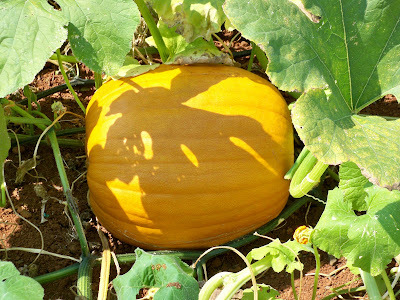 That pumpkin looks so cutely nestled. Lydia - I had the same experience. In the past, I don't think I'd ever been there at the right season. Susan - I visited in the fall one year, so nothing was left in the garden. And, once, I got stuck in a snow storm, and never got to Monticello. So, I was particularly happy to see the garden in all its glory! Veron - I almost picked a couple of peaches, they looked so good! What beautiful gardens. 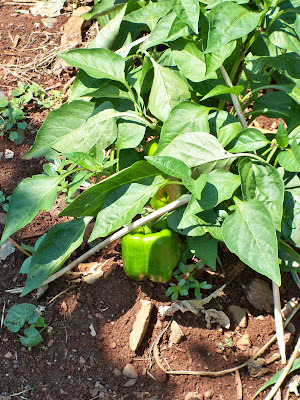 I am no master gardener, and my garden is very tiny, but someday I hope to grow beautiful vegetables like that. We are hoping to head out east next summer, hopefully we can stop by there. 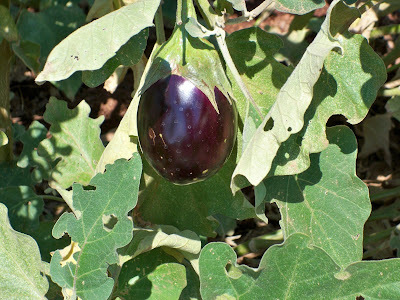 Nothing is more glorious than freshly picked vegetables and tree-ripe fruits. Thanks for the tour. I shall stop there someday. Tiffany - As you know, I joined an organic garden this year, and I have done some work there. My thumb is not-so-green, so I alway appreciate beautiful vegetable gardens. Zen - Aren't the peaches incredible? I love the fact that historic sites are recreating gardens, as well as the interior of homes.